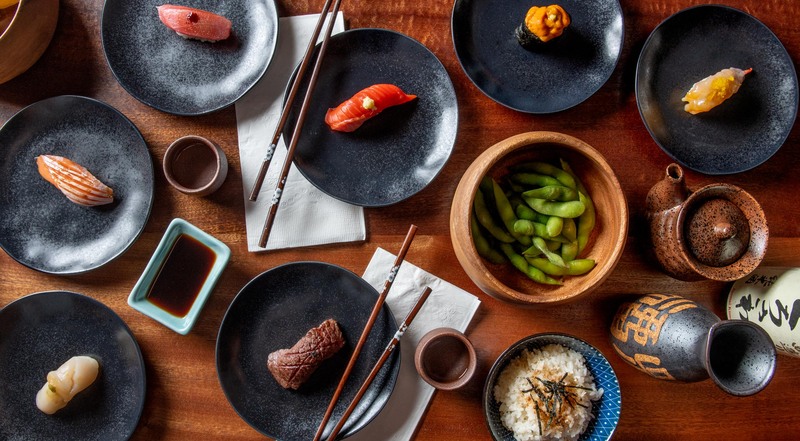 Spoil yourself, friends and family with a chef-determined menu comprised of whatever fish is in season, flown in from Alaska and Tokyo’s Tsukiji fish market. 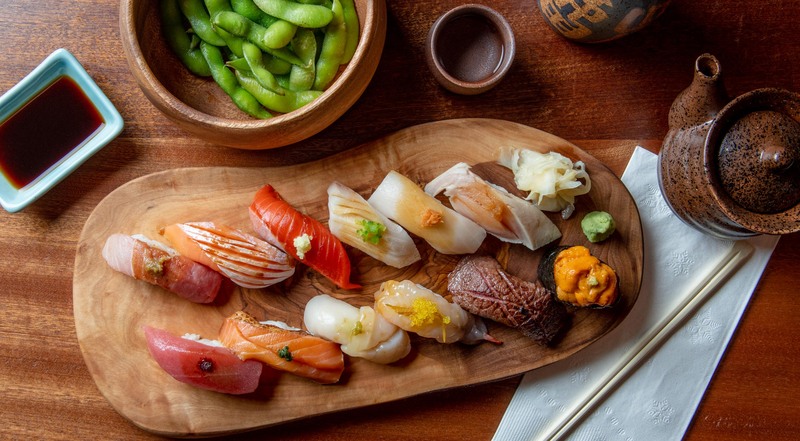 On the Bowery in Chinatown, Shinsen has just opened its doors with sushi that is a sight for sore eyes. 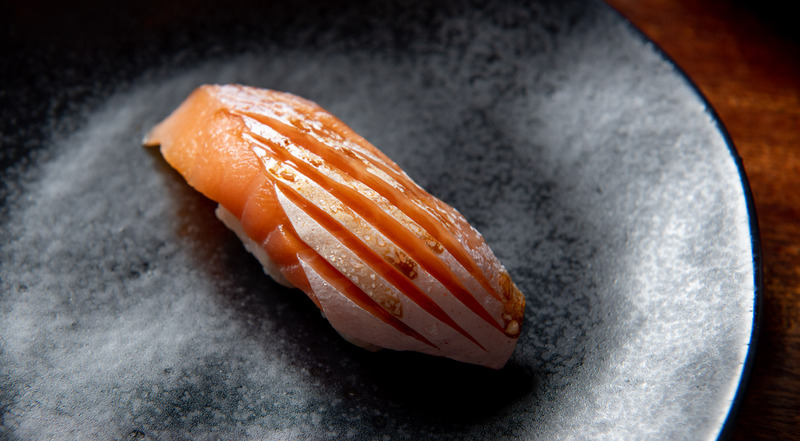 And while the fish is the best that anyone can get, the sushi is made by talented chefs from some of the most acclaimed sushi restaurants in New York City. At Shinsen you get to try the very best on offer. Every voucher is valid for one person. Purchase one or more vouchers. Enjoy a starter and the 12-piece omakase sushi menu made with whatever the chefs get in from the fish market on the day. 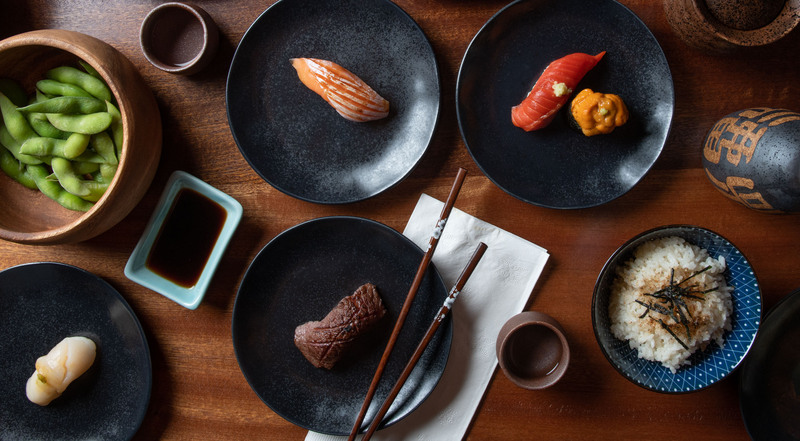 Taste everything from nigiri with wild Alaska salmon and shiso puree, to white tuna topped with wasabi and uni with black caviar and truffle salt. Get albacore tuna, botan shrimp, scallop and kobe beef. You are in for a treat, and the talented sushi chefs will serve up, choose and combine the very best pieces for you. Nice spot for a night out. 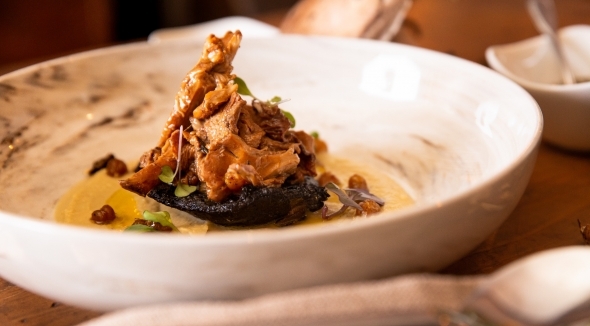 Amazing place, fantastic quality food and friendly staff! 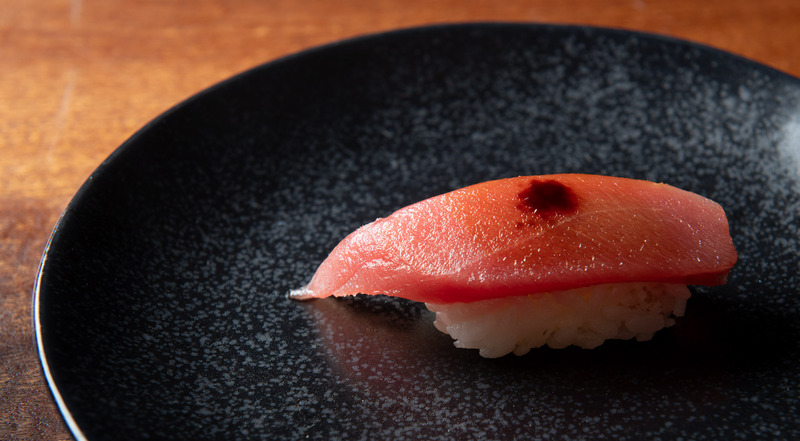 Shinsen is part of the new wave of hip restaurants that are popping up on the Bowery, and the restaurant doesn’t disappoint. Having been open only for a month, Shinsen has already garnered top reviews and is featured in some of the biggest NYC food blogs. 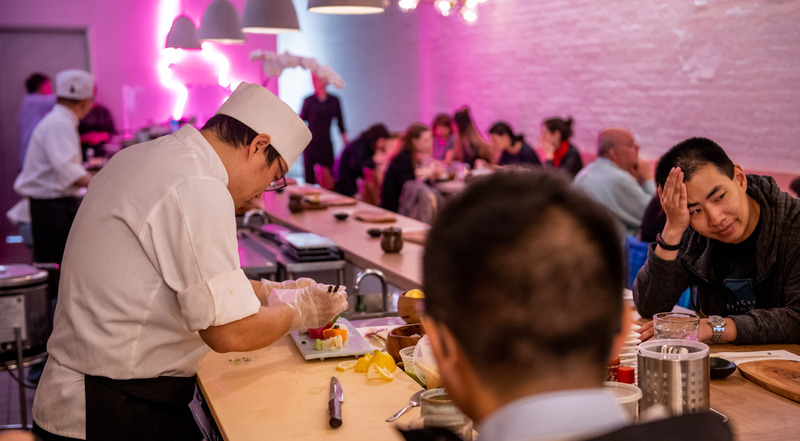 In the open restaurant kitchen, the chefs slice fish, grate fresh wasabi root and prepare bites directly in front of their guests. 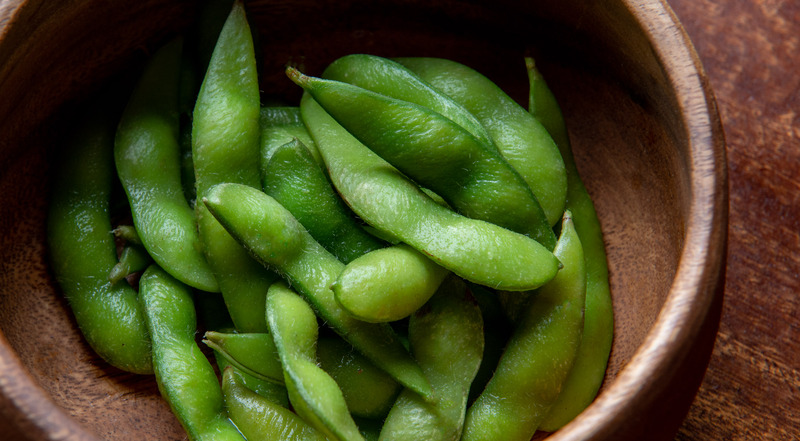 The hyper-seasonal menu, the service and the intimate dining experience make Shinsen one of its kind. And the chefs take sushi to the next level in an area of the city, where outstanding quality sometime is hard to find. Where to eat? Explore NYC with us. © 2019 Tipster. All rights reserved.